According to Wedomé, the new payment option is a collaborative work with Alibaba's Alipay. With the assistance of Alipay's face-scanning function, one can face towards the camera on an electronic device set up in the bakery stores to make a payment. Since the new payment was launched on December 13, it has successfully increased the efficiency of cashiers by 60 percent. Currently, there are five Wedomé bakery stores that provide this latest digital payment service. Established in 1996, the company has opened up 300 bakery stores in Beijing, serving around 30 million customers every year. In recent days, they have tried to introduce more digital elements into their daily business operations. 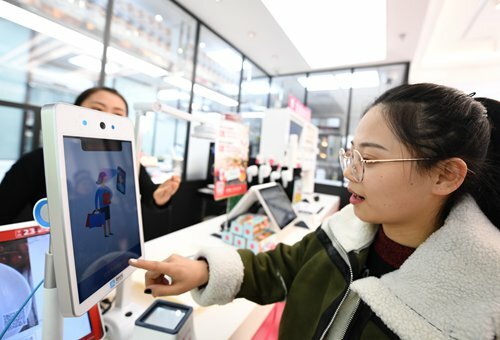 For example, last May, they have collaborated with Alibaba for the launch of the first domestic unmanned smart bakery store in Beijing that enables customers to pay through a self-service machine instead of a cashier. "With the change of the trend in consumption upgrades, internet, artificial intelligence, and the retail industry, it [technology] has brought more convenience and richer shopping experiences. The future belongs to an era of change and we must break the inherent mode of thinking and meet the new challenges," the founder of Wedomé Huang Li said. "In 2019, one of our most important goals is to bring about change through innovation."